The $4-billion Essel Group, a media conglomerate, has made a foray into the financial services sector. The Subhash Chandra-owned group has set up a new arm, Essel Financial Services Ltd. It has brought in Amit Goenka, former national director, capital transactions, at advisory firm Knight Frank, as managing director and chief executive. It has set up two businesses, private equity and investment banking, under the names of Essel Finance Managers and CAPSTAR, respectively, under the holding company, Essel Financial Services. CAPSTAR, to focus on deals in infrastructure, real estate and financial services, has appointed about 15 people and set up an office each in Mumbai, Noida, Bengaluru and Delhi. It is opening one each in Chennai and Pune. CAPSTAR will focus on mergers and acquisitions, pre-Initial Public Offering deals, qualified institutional placements and portfolio management services. Abhinav Bhushan, former head of equities-capital transactions at Knight Frank India, will head CAPSTAR. It is learnt that CAPSTAR has developed a pipeline of deals worth Rs 2,000 crore (Rs 20 billion), with focus on project sales in infrastructure and real estate. After covering the domestic markets, CAPSTAR also has plans for global expansion, with a plan to open offices in Singapore and London by 2013. Goenka said the company was not looking for joint ventures or alliances with global banks. equity fund under Essel Finance Managers. It has appointed Sumit Kumar of Beekman Helix India to head it. The fund's details are not known. Goenka said, "CAPSTAR is a focused player, with ability to transact on mid-size to large deals in sectors such as real estate and financial services. . .We can also selectively invest in the deals where we advise." He said the rationale behind Essel Group's move was to leverage on the brand reach with investors, consumers and institutions. 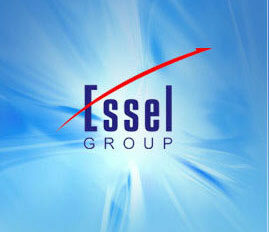 The Essel Group has presence in media (Zee Entertainment, Zee News and DNA), technology (Dish TV, Wire & Wireless India), packaging (Essel Propack), entertainment (Playwin, Fun Multiplex), infrastructure (Essel Infraprojects, E-City Real Estate, Siti Energy) and education (Zee Learn). Though India Inc saw a decline in M&A activity in 2012, the slight improvement in these deals in the third quarter brings hope for investment bankers. According to an Ernst & Young report, India's M&A deal value for 2012 reached $31.4 billion, a slight decline from $36.6 bn in 2011. In deal count, 2012 recorded 809 as compared to 880 in 2011. "The third quarter witnessed a strong surge in M&A activity and might be an indicator of the return of the market's appetite for deal-making. "This momentum is expected to continue in 2013. Indian companies, which played the waiting game in 2012, have accumulated huge cash piles," says the report. A perceived comeback of the IPO market by the end of 2012, with the listing of Bharti Infratel, had cheered i-bankers.